Vacation season is finally here! Some have already planned their vacations months in advance, while others might be more the last-minute type. 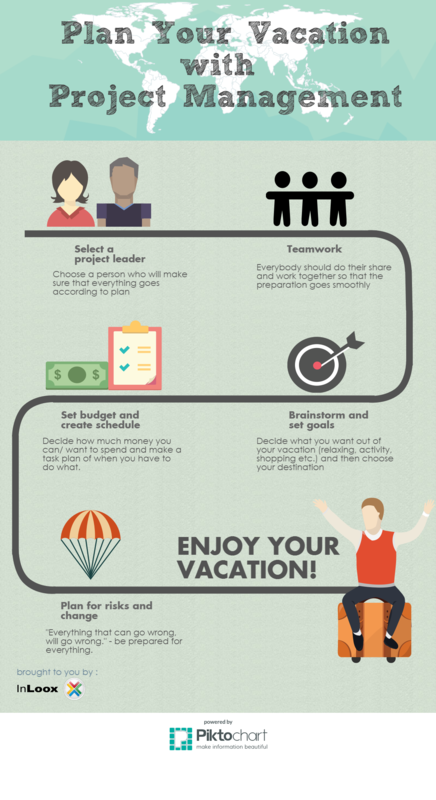 We have some tips on how to plan your vacation like a project manager – more effectively and (almost) stress-free. Who hasn’t been stressed out planning a vacation? You have to book flights, reserve hotel rooms, create an itinerary, look up restaurants and so on and so forth. When you’re travelling alone it’s a bit easier to plan, because you’re more flexible. But if you’re travelling with a group of friends or your family it can get complex really quickly. Using project management methods can help you avoid that pre-vacation chaos and stress. Usually, there is always one person who ends up leading the planning naturally. But it’s better to formally assign a project leader who will take on responsibility for the project and who will serve as the go-to person for all the other team members. The project leader will overlook the whole endeavor and make sure that flights are booked, passports are valid, hotel rooms reserved etc. In short, the project leader will make sure that everybody does what they are supposed to and that everything is going according to plan. Having a project leader does not mean that they have to do everything themselves. One person doing everything could mean even more stress and ineffectiveness because all the burden rests on this person’s shoulders alone. You’re going on vacation together, so everybody has to do their share and not load everything onto one or two people. While there are things each person has to do on their own, such as packing, there are some tasks that can be done collectively. The most obvious things are booking the flight and hotel. Communication is key. Each team member should know exactly what they have to do. If communication isn’t clear, you might end up sharing a youth hostel room and common bathroom with 10 others instead of the 2 double ensuite hotel rooms you had actually wanted. Effective communication can spare you that grief. This is probably the most important, but also most frustrating part of planning a vacation: Where are we going to go? That depends on your “goals”: do you want to relax and do nothing? Maybe you want to do some shopping? Or do you want to learn more about the culture and people? Or do you want to be active and do sports? Depending on the goals that you have identified, you can decide on your destination. Relaxing? Somewhere near the beach might be right for you. Shopping? Better go to a big city for that. The team might have different opinions and wishes which need to be reconciled and you must try to reach a compromise. Brainstorm all the different suggestions and try to find a common ground. After having decided on your destination, you need to determine your budget. How much do you want to or can you spend? Depending on your budget you can decide on how long your vacation will be. Remember that you have fixed costs such as flights and hotel rooms. After subtracting these costs, you can allocate the rest of your budget for food and other activities. Create a schedule with all the necessary tasks and when their due dates are. For example, until when do you have to book the flights? When do you have to go vacation shopping? Make sure to check in with your team members regularly to see whether they have fulfilled their tasks. You wouldn’t want to stand at the airport all set and ready only to find out that the person who was supposed to book the flight didn’t do it. Okay, that is a pretty drastic scenario, but not measuring the preparation progress can lead to stress and even mean you have to go over budget because you have to do everything last minute which is often costly. Or if it doesn’t go wrong it might not go as planned. Even the best plan can’t predict the weather and other unforeseeable and uncontrollable events. What you can do is to prepare for the worst case scenario. Read up on your rights as a traveler, in which circumstances can you reclaim your money from the airline if your flight was delayed or cancelled? Knowing what to do in these cases, will reduce your stress levels if they happen. It will still be annoying, but at least you’ll have a little bit of control over the situation. 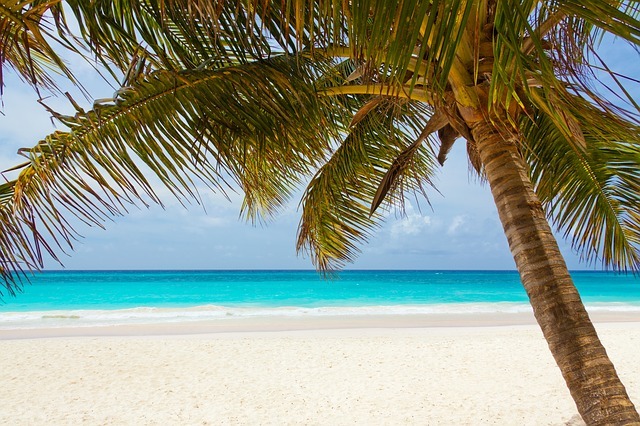 Plan Your Vacation More Effectively with Project Management - InLoox • Copyright 1999-2019 © InLoox, Inc. All rights reserved.